The National Weather Service (NWS) issued several wind advisories for the states of Oregon, Washington, and Northern California on March 9, 2016. There could be gusts of wind of up to 85 miles per hour (mph). These high wind warnings vary depending upon their geographic location in the Northwestern United States. The Medford office of the NWS indicates the warning is in effect through 10 a.m. PST on March 10. This is an update to the previously released high wind watch. Winds from the south and southwest averaging 35-60 mph with gusts up to 80 mph are likely, with the strongest winds between the evening and late night hours on March 9. Areas affected in Central Siskiyou County include the city of Weed, located in the Shasta Valley area of California along the Interstate 5 corridor, and in Oregon, the Siskiyou mountains and Southern Oregon Cascades, including Crater Lake National Park, the city of Crater Lake, and Mount Ashland. The mountain peaks will likely be the location of the highest wind gusts. The high wind warning for this area will remain in effect between 4:00 p.m., March 9, through 4:00 a.m., March 10. Highest winds are likely to occur during the early evening hours through midnight. Northward winds will average 30-40 mph with gusts possible of up to 60 mph in the Central and Northern Coastal range in Oregon, including Vernonia and Veneta cities. In Washington’s Willapa Hills, the winds are expected to be between 25-40 mph and the predicted gusts could reach 65 mph. The strongest winds will likely occur in elevated terrain. This area has a high wind warning that will be in effect between 1:00 p.m., March 9, through 2:00 a.m., March 10. Beaches will experience winds from the south averaging between 35-45 mph and the likelihood of gusts up to 75 mph. The coastal cities of Ocean Park, Raymond, and Long Beach in Washington, and in Oregon, the cities of Florence, Newport, Tillamook, Lincoln City, Newport, and Astoria will experience winds between 30-45 mph from the south with gusts likely up to 65 mph. In the Curry County Coastal cities of Gold Beach, Port Orford, Bandon, Harbor, and Brookings, the high wind warning is in effect between 1:00 p.m., March 9, and 4:00 a.m., March 10. The winds coming from the south will be the strongest in the evening, averaging 40-55 mph with gusts likely between 55-85 mph. Exposed locations on Oregon State Highway 101 will experience the strongest winds. The metro areas of Portland, Oregon, and Vancouver, Washington, including South and Central Willamette Valley, the Interstate 5 corridor in upper Northwest Oregon, and Southwest Washington, have been issued a wind advisory. This warning is in effect between 4:00 p.m., March 9, and 6:00 a.m., March 10. Peak winds are expected to occur in the evening and last until 3:00 a.m.
Cities include Oregon City, Hillsboro, St. Helens, McMinnville, Springfield, Eugene, Gresham, Corvallis, Portland and Vancouver metro, Washougal, Kelso, Longview, and Battle Ground. 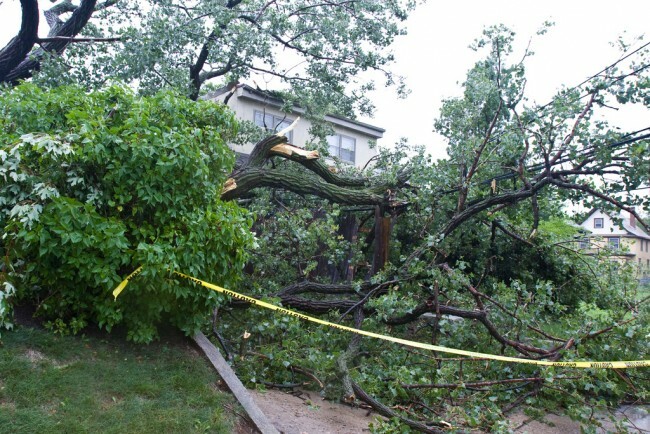 Possible impacts of high winds can include downed trees or tree damage. Falling limbs could be extremely dangerous. There may be power outages. Highway and vehicle travel in open areas could be hazardous, especially for motorhomes, trucks, and any vehicles towing trailers. Highway overpasses could be subject to whipping winds which could cause drivers to lose control of their vehicle. On the coast, high surf is possible, and low-lying coastal cities could also experience minor flooding from the high surf. Remain cautious when driving and avoid water on roadways in flooded areas. One Response to "Wind Advisory Issued for Northwestern U.S. Gusts of 85 MPH Possible"